Debashish Bhattacharya is a prodigy who has helped Indian classical music evolve. Born into a family of musicians, Debashish was given fertile soil to explore his question of why he could not play traditional ragas on the guitar… He found a way. Debashish Bhattacharya will perform an exclusive live show in Bristol on 26th March 2018. For more information and tickets, visit our concert page – click here. 1. Debashish was only three years old when he began strumming on a Hawaiian lap steel guitar. The guitar had been a gift to his father, a traditional Indian vocalist. 2. At four years old, Debashish Bhattacharya performed on All India Radio, Kolkata. 3. Debashish invented the Trinity of Guitars. These consist of the Chaturangi, Gandharvi and Anandi. The guitars are played whilst sitting crosslegged. The guitar is held on the lap and played with a small steel bar, metal picks and a celluloid thumb pick. 4. Some of the world renowned musicians Debashish has played with are Ustad Zakir Hussain, John McLaughlin, Jerry Douglas and Derek Trucks. 5. 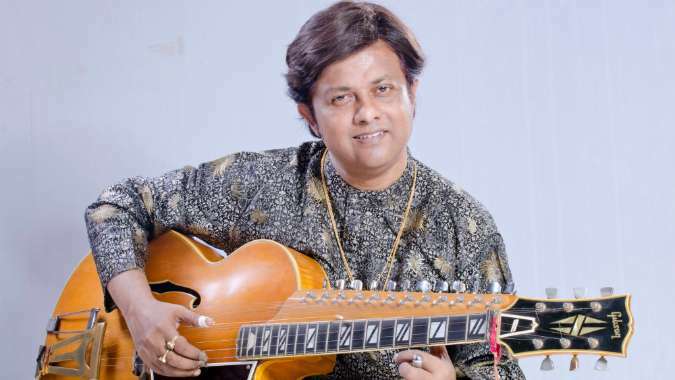 Debashish Bhattacharya was nominated for a 2009 Grammy Award in category of Best Traditional World Music Album for his album Calcutta Chronicles. 6. 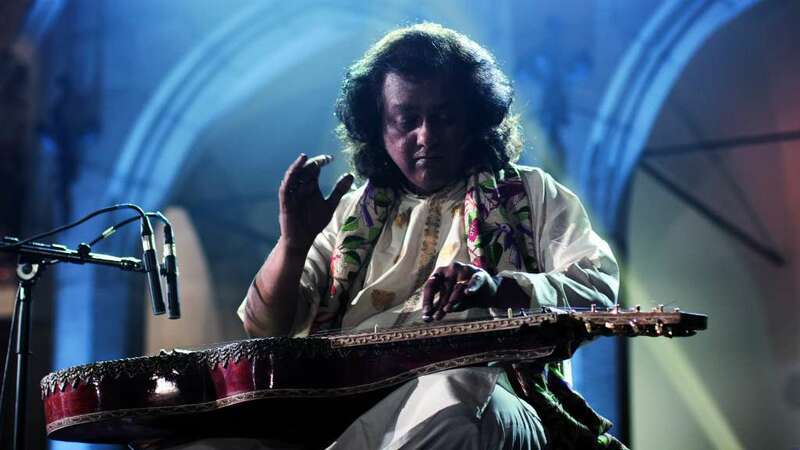 Debashish performed for the legendary Ravi Shankar in India. 7. Papa Tau Moe introduced the Hawaiian lap steel guitar to India in the late 1920’s. The Tau Moe Hawaiian band EMMI lived in Kolkatta from 1941 – 1947 and they made many records with HMV and EMI. 8. Debashish Bhattacharya’s music holds strong bonds with Papa Tau Moe. Garney Nyss, Tau Moe’s top student in India, was great friends and musical sparring partner with Debashish’s childhood guitar teacher Rajat Nandi. 10. Debashish paid tribute to Tau Moe through the album “Hawaii to Calcutta” in 2017. Don’t miss the this incredible performer when he performs an exclusive concert in Bristol this month at St George’s Bristol. Visit our concert page for more information and tickets.